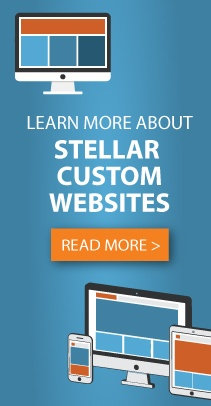 Stellar Blue is excited to announce the launch of a new custom website for Volunteer Center of East Central, WI. This nationally recognized organization has a number of different locations. This Volunteer Center based in Appleton, Wis., is on a mission to increase volunteerism within east central Wisconsin. This is the second project Stellar Blue has done for the Volunteer Center. When visitors first enter the website, they are greeted with a number of interchanging hero images of numerous volunteers doing their part in the community. Laying across the bottom the images are four icons leading to further information on how to get involved in a number of different ways. At the very top of the page, there are two logins for returning volunteers and board members as well as a link to submit a donation. Just below that is an interactive navigation bar that leads to multiple subsequent pages on different events, opportunities for volunteers, history, contact information and a blog. An interesting feature of the home page is a clickable side tab that pops up to show people seasonal volunteer opportunities. Moving down the website, visitors will find a section for news and current events happening with Volunteer Center. Coming to the bottom of the page, users will see a statistics bar with figures on the impact they have had on the community as well as a list of their sponsors. The custom website is a responsive design with a number of features to help highlight content and make the user experience fast and easy. The WordPress integration allows for simple content updates that Volunteer Center can access whenever they feel it necessary. There is also a blog integration that allows Volunteer Center to publish engaging content for amplified user experience. Finally, there is a contact form that lets visitors get involved right from the website. With this brand new website, the Volunteer Center hopes people in east central Wisconsin will be more aware of the change they can be a part of!